In recent years, detoxing your body has become quite the trend. Now there are countless numbers of detox kits or cleanses on the market all touting the many health benefits of removing toxins from the body. Even celebrities are talking about how they detox and all of the amazing benefits they’ve experienced. But is detoxing your body right for everyone? In fact, trying to force your body to detoxify can have many negative effects on your health. And when you suffer from Leaky Gut Syndrome, detoxing your body can easily make your symptoms worse by taxing your already congested liver even more. 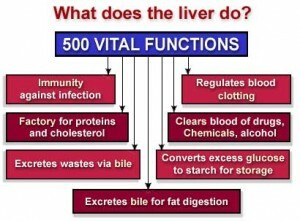 As you probably already know, your liver plays many extremely important roles in your body. One role it serves is as a filter which is responsible for metabolizing or breaking down toxins so that they can be properly disposed of by excreting them from your body. But remember, these toxins have to be first processed by your liver before they can be disposed of. Because we live in a society that is literally full of toxins everywhere you look, it is becoming more and more difficult for your liver to keep up with the growing number of toxins you encounter on a daily basis. This is an important concept that most people with Leaky Gut Syndrome never stop to consider. Your liver is an important part of your digestive system that works to process the toxins in your body so that they can be properly removed. 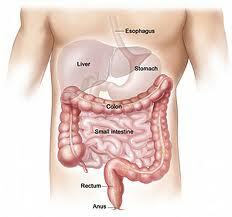 But when you have leaky gut, your entire digestive tract becomes burdened and your liver can easily become backed up. And when this happens, you are unable to eliminate toxins and they build up inside you which can contribute to many of your leaky gut symptoms. Maybe you think that you live a pretty clean lifestyle so your exposure to toxins is minimal. The truth is that toxins are everywhere and there is no escaping them no matter how hard you try. All you can really do is minimize your exposure and keep your detoxification pathways clear so that your body is able to process and eliminate as many toxins as possible. As of 2006, there were over 82,000 synthetic and potentially toxic chemicals documented within the US alone of which 75% (60,150) have never been tested for toxicity. And these chemicals are being used in consumer products every single day. The truth is that there are far more toxic chemicals being introduced every single year than the EPA is able to test so these numbers are only growing. Of course, I couldn’t even begin to touch the tip of the iceberg of toxins but I would like to share with you two of the more common sources that you are exposed to on a daily basis.